Color flag of Papua New Guinea. 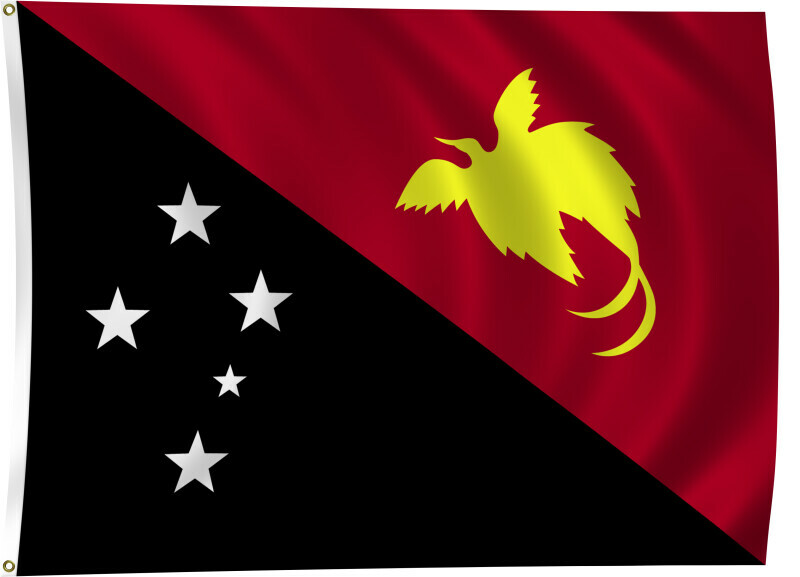 Divided diagonally from upper hoist-side corner; the upper triangle is red with a soaring yellow bird of paradise centered; the lower triangle is black with five, white, five-pointed stars of the Southern Cross constellation centered. Flat color and black/white versions of world flags are available on the Clipart ETC website.